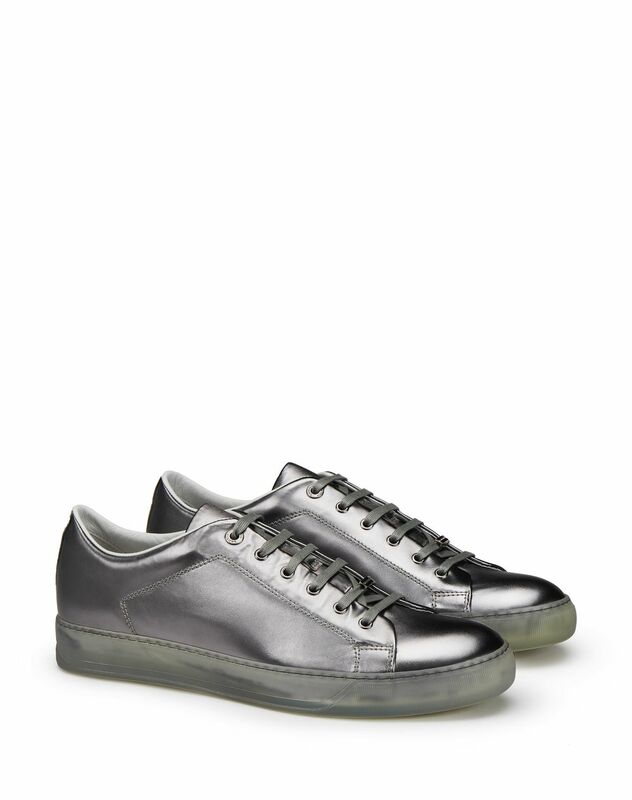 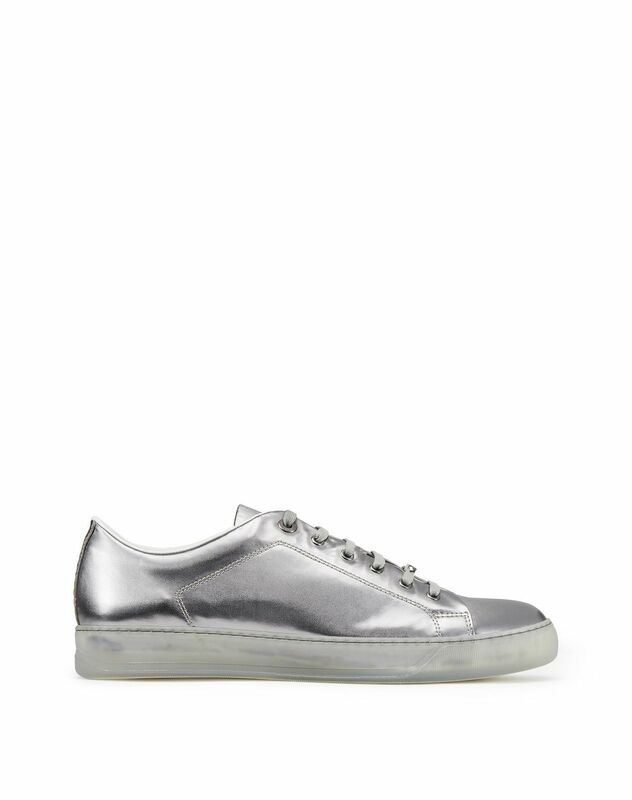 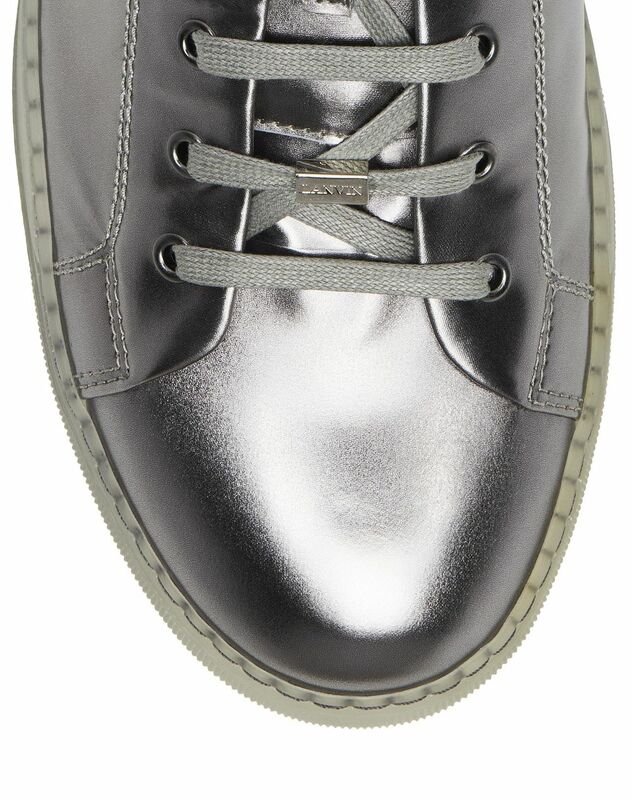 Low-top sneaker in metallic silver sheepskin, tone-on-tone cotton topstitching and laces, black 100% calfskin leather lining with logo, and exclusive tone-on-tone rubber sole. 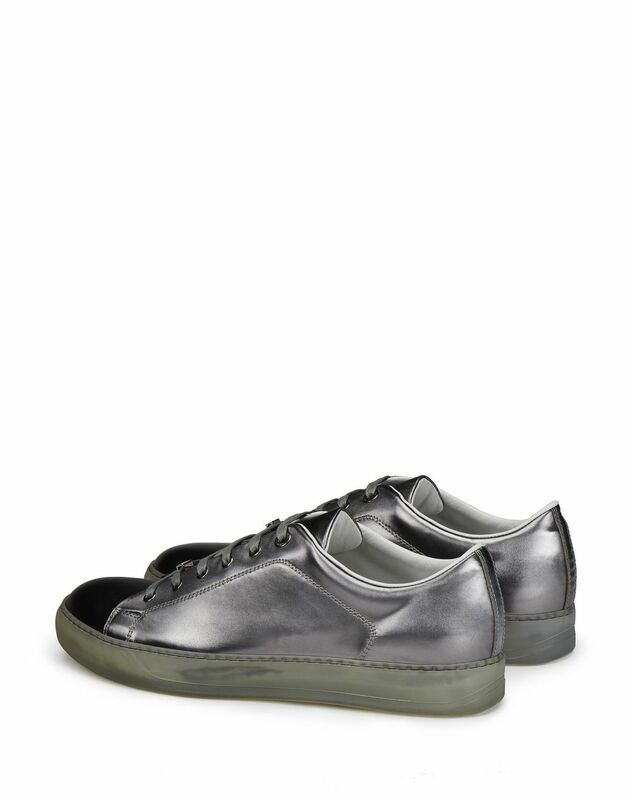 Reinvented in a new metallic version, this low-top sheepskin sneaker has revolutionized the style of the emblematic DBB1. 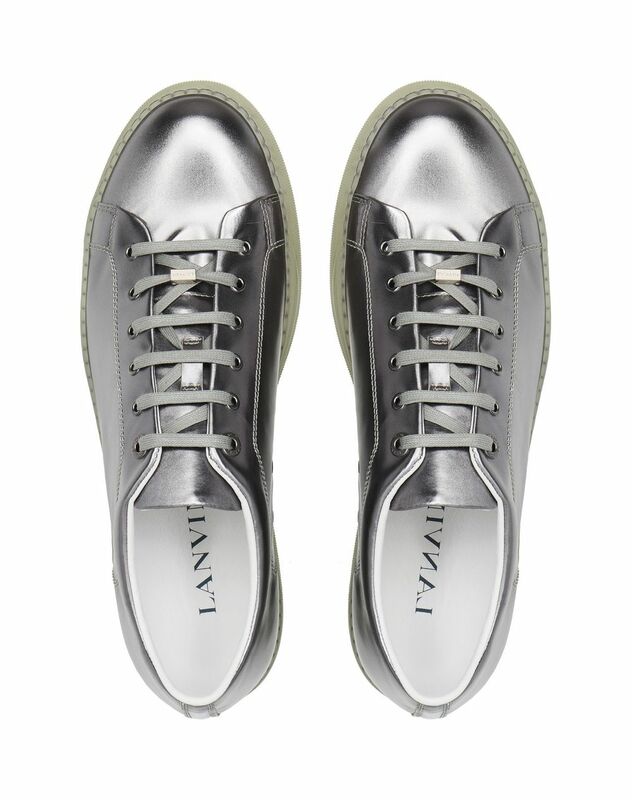 This elegant and contemporary new design stands out as a must-have from the Spring/Summer 2019 Pre-Collection.